Perhaps you are only just staring out... or you already have aYouTube channel but you are looking for ways and ideas to improve the quality, style & views on your video content. YouTube loves innovation and is constantly changing. Check out our list of things to consider before making your first or next YouTube Video. Look at what's Trending on Youtube - can be a good way to adapt your content style and get more views. Pick Only One of your Video Ideas. Research the keywords on YouTube & Google for that idea. On YouTube and look for similar videos. Videos that are using the same keywords you intent to use. Look at the titles and the thumbnails to help you with the ideas. You are also going to have to make your own thumbnail later in the process. Look at the "viewers to subscribers" ratio: if the video has more views than subscribers then its probably a good video idea to pursue. Decide on a title, at this point it's going to cement the theme of the video in your head. Make a list of questions/answers you want to cover in the video. You are ready to go ahead and shoot the video. - Trim off the beginning and end parts you don't need for each clip. - Watch the whole sequence again to see if it flows. - Add the backing music, and sound effects. - Keep trimming the bits you don't need. Time for the thumbnail: go through the whole video and look for a frame that works for the final video. Grab that frame or use a photo that matches. At this point it is nice to let someone else watch your video and give you feedback. It's a "nice to have" and you don't have to change anything. It's always nice to get other people's perspective though. Start uploading it to YouTube but don't publish it. Leave it as unlisted. Go to the video in Creator Studio and add end cards (CTA Call to actions) you have options to have YouTube clickable areas like cards, that you definitely want to utilize. Time to run your head through a few ideas for the title of the video, are you still happy with the original name of the video? Finish that thumbnail, a tip here is the make the CTA text about a third of the whole thumbnail. On mobile devices the thumbnails is quite small, and the first thing your audience sees is the thumbnail before they read the title. Time to research those tags we do this before we write the description as we want to incorporate all those tags into the description. Take the title and the tags and write the long copy description about the video. Add the tags you are allowed 500 characters. We capture the tags in a word or text document before hand, and just copy and paste it into the tag area. Remember to use commas between the tags. Remember that 20 second area you left at the end of the video for the CTA and end cards you can go and place the links. Bonus tip our average watch time is about 2 minutes, so sneak a card in at that point in case your audience is getting board. 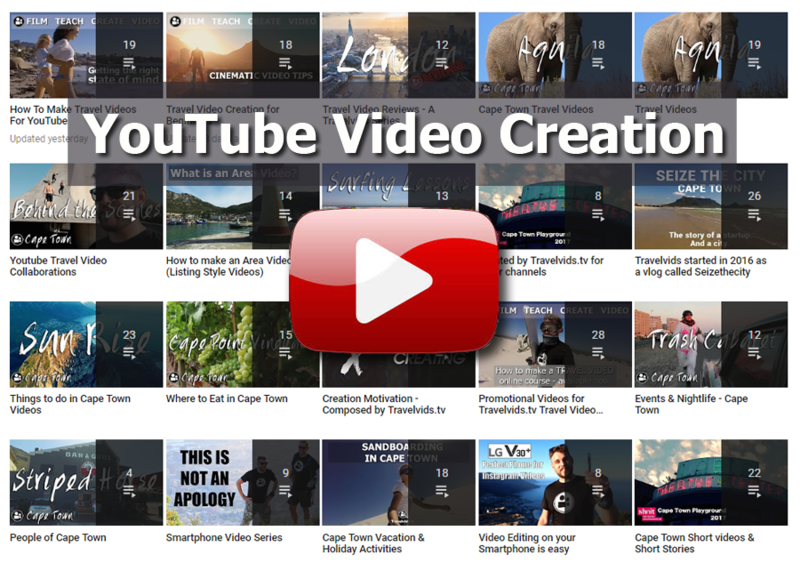 If you have already created videos add it to a relevant playlist. On the end screen you have a YouTube option called Best for viewer, this is YouTube's AI getting involved and it will suggest the best video from your channel to show the viewer next. OK that it hit that publish button. But your jobs not done, for the next 24 hours you must reply to everyone's comments and questions as quick as you can. We will be updating this post with step by step videos guides. If you would like us to keep you informed of the updates, drop us your email address below.